CATAWBA GRAPES IN THEIR HAPPY PLACE. 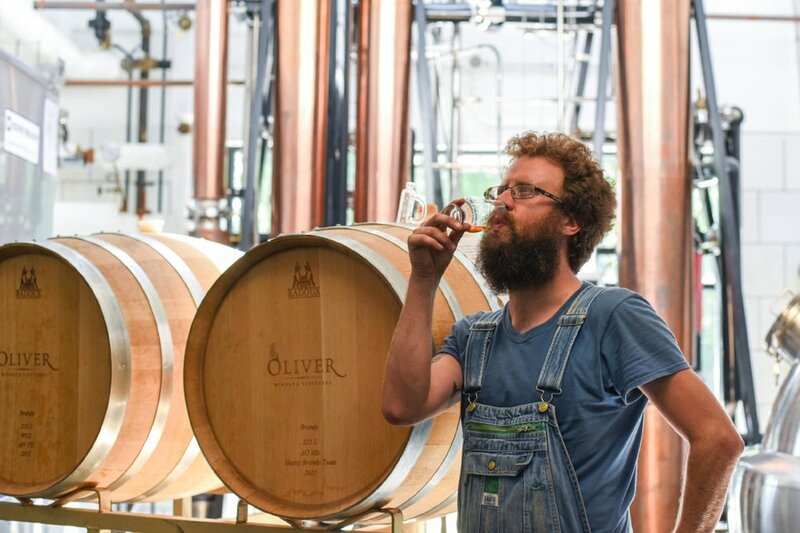 Creekbend Brandy, vintage 2015, is a one-of-a-kind collaboration between Cardinal Spirits and Oliver Winery. 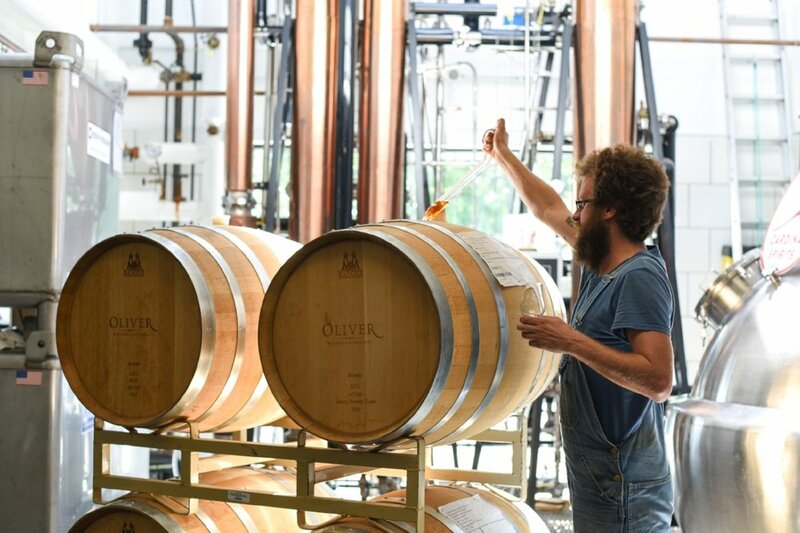 Crafted entirely from Catawba grapes grown at Oliver Winery’s Creekbend Vineyard and harvested at prime ripeness, then distilled and aged in toasted oak barrels at Cardinal Spirits. Catawba grapes are the prize pick of the vineyard in our part of the Midwest. And this is how we celebrate them: by distilling a world-class brandy that can be enjoyed neat or in cocktails. Add brandy, creme de cacao, and heavy cream to a shaker filled with ice. Shake well, then strain into a chilled coupe glass.